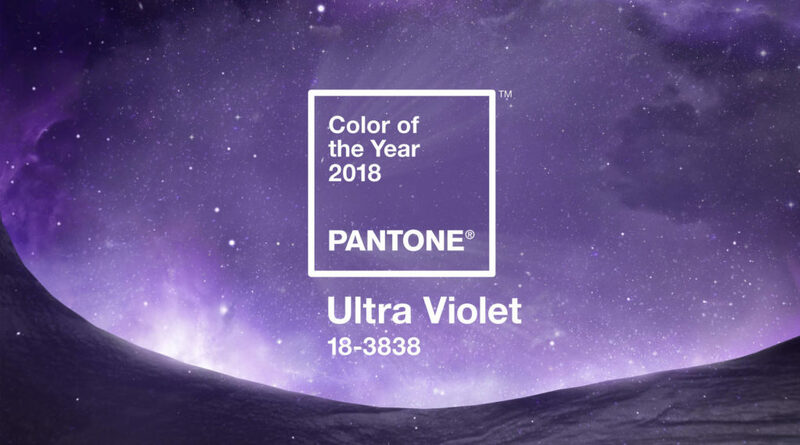 Ultra Violet – Pantone’s Color of 2018! It’s always fun to see what color Pantone crowns as the “Color of the Year” … and this year the winner is Ultra Violet! A warm spring green, Greenery, was the the color of 2017 and this year we switch to a cool bluish purple. Do you like Ultra Violet? I think it’s a color most of us can wear and look good in, right? Personally, I probably tend to go a little more to the fuchsia/purple shade or a plum/burgundy, but this galactic shade is gorgeous too. 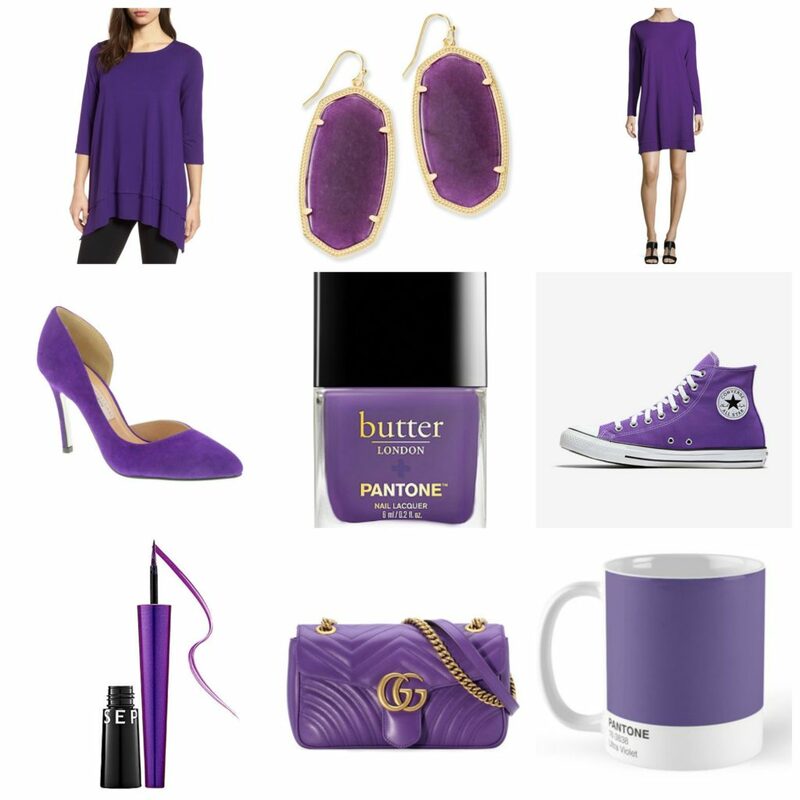 I tried to find stylish and wearable wardrobe options as close to this shade as possible. (Oh okay, and a few pieces just too fun not to include, like those Gucci shoes!) Let me know what you like the best and if you think you’ll be adding any Ultra Violet to your wardrobe this year. Also, on the blog this week, a fun graphic hoodie and bold stripes. And stay tuned for pretty new spring prints from Karina Dresses! And I’m gathering ideas from my readers for ideas for posts you would like to see this year, as well as what type of New York Fashion Week coverage you enjoy the most. Add your two cents in the comments, or email me at fashionshouldbfun@gmail.com! I love to hear from my readers! Ultra Violet is a good color choice for me since the college where I work has purple as their school color and has “Purple Pridedays” each Friday. Oh wow! Those earrings and the All Stars! I love this color and will add some to my closet but I also think for me anyway, if I get too much I won’t use it. It’s a little dab will do ya thing! But man that bag is to die for! Violet is a pretty color. Love everything you pick!